A fiddler on a journey brings a gift to his wife: a tiny duckling about to hatch. He names the duckling Alfred Fiddleduckling. A mighty storm upsets the boat and sets them adrift. Alfred sees a shadow on the waves and discovers the violin floating in the water. He falls in love with the instrument when he hears the strings strum a bit of music. He finds his way through the fog to the island and begins to play. His happy strumming brings the farmer's dog and the farmer's wife. Even on the waves the farmer on his raft hears the music that is calling him safely home. This is a beautiful book. The artwork is colorful and hazy by turns, emphasizing the weather patterns in the story. Each time Alfred strums the violin it sends sparks of color into the air that represent the sounds that are guiding everyone near. Especially charming is the point in the story that Alfred swoops up the guitar to keep it from feeling lonely. The tale itself is a lovely story about finding family and home. The story hovers between practical feelings and the unlikely ability of a duckling to play the violin; this creates a marvelous and moving tension between hope and fear. This is a wonderful story of hope and persistence in the face of difficulty. The much anticipated Black Panther is now out in theaters and Marvel has another hit on its hands. This film has two things working for it, one it is the last Marvel film leading up to Infinity Wars and two it has an incredible cast. This is not the first film for the Black Panther character but it is the first time a black character has been the lead in a Marvel film. That lead actor is Chadwick Boseman who is fantastic, as is Forest Whitaker, Lupita Nyong’o, Angela Basset, Michael B. Jordan, Sterling K. Brown and many others. And yes, that is quite a good cast of actors. Even with that cast I was not blown away by this film as some people were. I did like the story, the effects and the cast but I wanted more. I felt as though the story relied too much on the fighting and I wanted more back story and character development. That is not to say this is a bad film because it is not. I just wanted more. This is a Marvel comic book film so there is a fair amount of violence including people being killed on screen. Some scenes include people being stabbed and some who are shot. There are many fight scenes and many people fighting. This would include a great battle on the plains of Wakanda that includes many people and some animals. Some of the fighting is intense. There is some profanity used in the film including gestures. I must say that Black Panther is a film that will be noticed for good reason but I wanted to get more from the characters and their story. It is rated PG-13. I am giving this film a B+ grade. Early Man takes the audience on a journey back in time to when a big asteroid hit the earth. That asteroid became a ball, and that was how “Football” or soccer was born. Yes this is how the sport was really born. Kicking a rock hard alien substance around and into a goal. If nothing else that is a funny premise for a film. The same animators who did Wallace and Gromit at Aardman studios ran with that premise and made an entertaining film for families. As the film progresses the hunters and gatherers are forced out of their valley by the more advanced and greedy people of the Bronze Age. Dug (Eddie Redmayne) is curious as to where these people have come from and their technology. He finds himself in a city and discovers more about his tribe than the people of the city. The story takes the little guys and pits them in a football match against a really good team of professionals. You might see where this is going from here. All the same there are some funny jokes and gags as the story moves on and you do want to root for the little guys. I did find the duck gag to be funny, can’t say more than that or I’ll ruin it.. Some of the humor is considered crude as a bird poops on a man and the backside of a man is seen in a shower. Plus there is some humor based upon flatulence. The violence in the film is played for comic effect so there are not many serious injuries. Early Man is rated PG and can be enjoyed by the whole family. I am giving it a B grade. One question I am often asked is, What is Young Adult Literature? While most people have a general sense of what this category of books is, they are often looking for a more specific sense of what makes a book for young adults different from a book for children or even for adults. So to help answer that question in a very small way, let me offer you my definition of young adult literature which is: Young Adult Literature is a work that represents an entirely adolescent point of view that is mainly marketed to that same audience. But how does that definition help us to identify young adult literature? For me it helps, because that definition carries in it two very important defining features of young adult literature. First, that it tells their story from a teenager’s point of view and it is marketed to teens. For me, books that fall into the young adult category feature not only teen protagonists, but teenage perspectives on the world. So, by this definition, books such as Maya Angelou’s I Know Why the Caged Bird Sings or Sandra Cisneros’s The House on Mango Street would not be considered young adult. While these books do have teenage protagonists, they are not told from the point of view of a teenager; rather, they are retellings of memories and are rendered by an adult looking back on a life as a teenager. As a result, these books feature analysis or insight about events or characters that comes from an adult’s reflections on the past. On the other hand, books that I would consider as young adult, such as Elizabeth Scott’s Living Dead Girl and Matt de la Pena’s Mexican Whiteboy, not only have teenage characters but make use of the teenage point of view, embodying typical teenage feelings, language, and ideas. In addition to point of view, publishers impact the makeup of a genre. When a publisher publishes a book, it decides which audience that book is best marketed to, and their designation clearly holds a lot of power since publishers target certain librarians, readers, and booksellers to help them promote and market their works. These decisions clearly influence whether or not books make it into teens’ hands. And so, I feel that how the book is marketed should also be considered when classifying books as young adult. It is these two elements, that for me, make up a young adult book. And maybe that little bit of information from Worlds Awaiting can also help you decide just what young adult literature is. 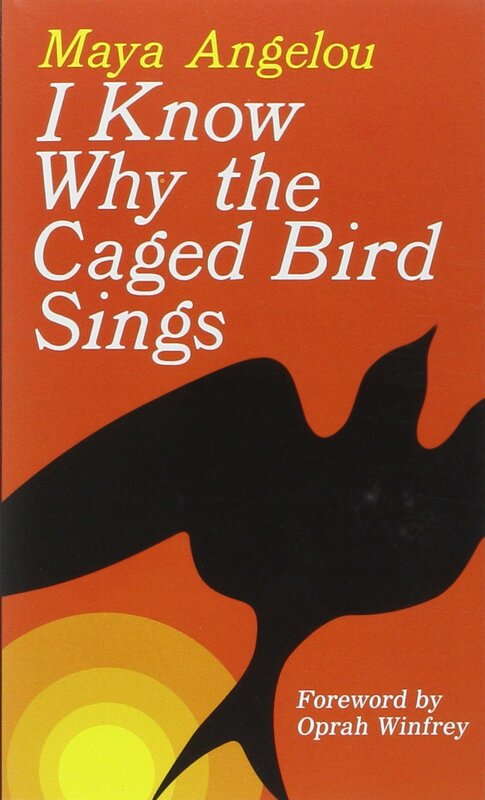 I Know Why the Caged Bird Sings by Maya Angelou. Random House, 2002. The House on Mango Street by Sandra Cisneros. Vintage, 2009. Living Dead Girl by Elizabeth Scott. Simon Pulse, 2008. Mexican Whiteboy by Matt de la Pena. Delecourte Books For Young Readers, 2008. As adults we have built up many barriers that affect how we relate to the world we live in. Prejudice, sexism, stereotyping, and fear are just a few of these barriers. Some of these, such as fear of snakes, for example, can be beneficial for us. Others, such as prejudice, are more destructive. It seems that it is the experiences and events that happen to all of us during the growing-up process, that provide the context for us to develop these barriers. For example, a child may take on a protective shell of fear of snakes after receiving a bite. A teenager may take on a barrier of racial prejudice in order to fit in with a local peer group. No matter what the barrier is, these types of boundaries only close the doors of possibility for children. A fear of snakes may shut the door to the entire world of wonderfully uncanny reptiles. The barrier of racial prejudice closes young people off from potential friends, and if it leads to violence, entire lives of possibility can be cut short. Author, Susan Cooper has observed that young people react to books in a very uncomplicated manner. Young people experience literature with much the same attitude grown-ups have when they have just fallen in love. Children surrender to books with complete acceptance, warmth, and generosity. Because children are more accepting, children's literature is more apt to present anything at all without barriers. Because authors of children’s books write to an intended audience of children, this gives them a slate of literary elements to work with that allows them to convey stories with candid honesty. It seems then that books can present world views that are free of barriers. The contrasts between characters who live with and without barriers show children more positive ways of living. By exposing them to numerous events and to many different views of life, reading assists young people as they break down their own boundaries. So, a book like I (Don’t) Like Snakes by Nicola Davies and illustrated by Luciano Lozano, may just help break down a barrier of fear. And, a book like Stella by Starlight by Sharon M. Draper may break down barriers of prejudice. Children close their open doors of potential and create barriers because they are frightened by the perceived evils that lurk around them. So, we figure here at Worlds Awaiting that it’s up to us as the adults, to show children through great books just how to have the courage to break down a few barriers. I (Don’t) Like Snakes by Nicola Davies and illustrated by Luciano Lozano. Candlewick Press, 2015. Stella by Starlight by Sharon M. Draper. Atheneum Books for Young Readers, 2015. The tale of Peter Rabbit as written by Beatrix Potter is well known and has become a classic. So it is not without merit that a film would be based on it. Although this film is not that actual story. The characters and themes of the book are in this film, but the story itself is much more modern. Peter Rabbit (James Corden) is fighting with old man McGregor (Sam Neil) until the old man dies. Peter thinks the animals now own the garden and the house until McGregors Grand Nephew Thomas (Domhnall Gleeson) shows up so he can sell the house. That’s when the fireworks begin, sometimes literally. The filmmakers may have taken liberties to make their own story with these characters, but at least they made it a good story. The live action and animation did look good together on the screen and the story was enjoyable for adults and kids. The PG rating of this film comes from the violence that is sometimes played for comic effect. Such as people being shocked by electricity and flying many feet in the air. Other times the character are just physically fighting with each other. Plus the attempts to capture the animals in the garden use traps and explosives and can be little intense. Thematic elements in the film include death and family. Plus, the script includes a few lines of crude humor. While I expected this film to be boring I actually found it interesting and a little entertaining. I am giving Peter Rabbit a B grade.